By Tom Kertscher on Wednesday, August 15th, 2018 at 6:23 p.m. They all referred to a column written by the former Milwaukee Bucks basketball star that was posted the previous day on HollywoodReporter.com. The column also drew the ire of John Muir, a conservative radio talk show host in Green Bay. 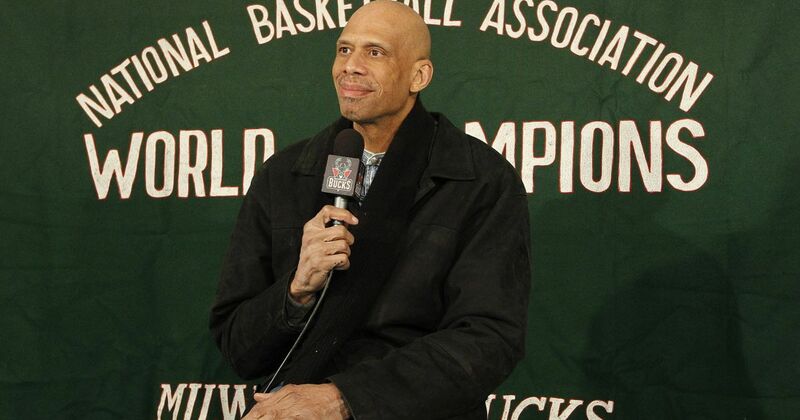 So, what did Abdul-Jabbar say? Let’s go to In Context, our feature that fleshes out sounds bites that get widespread attention. "Slaves are generally expected to sing as well as to work," observed ex-slave-turned-abolitionist Frederick Douglass. To the slave owners, singing slaves would drown out their own cruelty and oppression, clothe them in a coerced choir of decency. But it wasn't enough that the slaves had to sing, they had to sing their oppressor's feel-good songs that are summed up in the Porgy and Bess refrain of "I've got plenty of nothin'," and nothin's plenty for me." Currently, the song being demanded is the national anthem during football games. But during a warm-up game on Aug. 10, despite President Trump's previous condemnation, several Eagles players kneeled during the anthem or raised their fists — their way of singing their own song. For them, lyrics like "land of the free" don't accurately represent the daily reality for people of color. They love their country but want that country to recognize the suffering that occurs when it isn't living up to its constitutional promises. Trump reacted by tweeting, "Numerous players, from different teams, wanted to show their 'outrage' at something that most of them are unable to define." Who would know better how to define their outrage: the privileged darling of white supremacists, the 94 percent-white team owners, the 75 percent-white head coaches or the 70 percent-black players who actually take the field each week? The daily challenge for African-Americans is getting white Americans to listen to their song, especially when it isn't a grinning, grateful or pandering patriotic song. Two movies have recently been released that sing songs that define black America's continuing frustrations and outrage: Spike Lee's "BlacKkKlansman" and Boots Riley's "Sorry to Bother You." Both movies are about black people finding their voices and then having the courage to use those voices to tell their truths. But will America listen to what they're singing, especially in today's post-truth and "alternative facts" environment?